From the viewpoint of international right it is important for the people being in opposite sides, irrespective of their status have an opportunity to communicate with their relatives, human rights advocate Arthur Sakunts told Aysor.am, referring to the arrangement reached between the foreign ministers of Armenia and Azerbaijan at the meeting in Moscow on allowing families to have access to their relatives held in custody in the respective detention centers of the parties. “A person in custody has a right to see his relatives in his own country while being in another country certain mechanisms are necessary for the implementation of this right. This is very important not only for ensuring person’s communication with outer world but regarding the control of the conditions he is kept in and attitude. If the conflicting parties reach implementation of this arrangement it will be a very serious step,” the advocate said. Sakunts stressed that Azerbaijani aggressive rhetoric is a big impediment on the way to implementation humanitarian programs. “It is still unclear how the Azerbaijani authorities are planning to explain their public that representatives of conflicting state will arrive there to see the person kept in custody there. I want to say that an arrangement is one thing and the mechanism of its implementation is another. For years we have claimed that humanitarian issues must be separated from the logic of political regulation of the conflict. It is being spoken about prisoners of war and hostages. The humanitarian issues must not be agreed with the process of political solution of the conflict,” the advocate said. 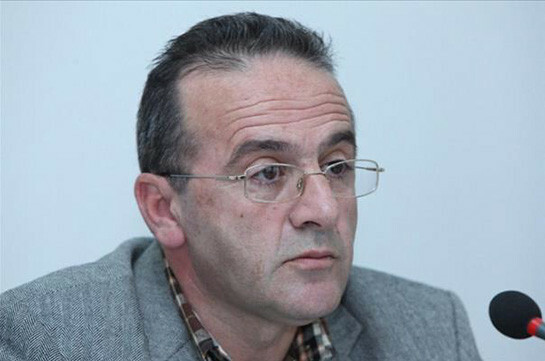 As a result of cooperation between Armenian and Russian prosecutor offices, today the Russian court upheld the petition of the Russian prosecutor’s office to arrest ex-lawmaker Mihran Poghosyan. As to why they planted birch in particular, Russian ambassador said that usually this type of tree is associated with the Russian people, besides the trees are brought from Russian Fialetovo village. Overall, 18 fighters will be supplied, Russian defense ministry source told TASS. “This issue relates not only to the capital but the whole republic, we need a wider discussion of the issue. After the public discussions we will refer to the issue again,” Marutyan said.